Let’s hope that the young man overcomes this challenge (as I suspect that he will) in order to meet the greater challenges of the future. The old cliche is true: you cannot keep a good man down. Judge, Share your hopes for the young man. Fine piece of sports writing. a touch of Rice and Angell. I have always found that those who have never faced adversity find it easy to be philosophical about it. I can find no reason to cry for young Mark. He got to live his dream. He was the starting center for the Nebraska Cornhuskers. He had no business even trying, but he did it anyway. What a foundation upon which to build a life! As my coach told me, you are always one play from hanging ’em up. Mark could have had that happen to him in garbage time, or even on the practice field. He might never have played even a down. But he did. Lots of them. He was one of the lucky ones. I raise a toast to young Mark. It wasn’t a fairy-tale ending, but it was a damn good ride. Don’t call it adversity. football no longer such a cool sport in my book. I think of the Lions’ Mike Utley and the Raiders’ Darrell Stingley. I remember the hits that left them paralyzed. To me, that is adversity. And the tale of Bart Ross. He was living a fate worse than death. Life is full of little disappointments. Without them, the victories would not taste as sweet. But no one can take Mark’s accomplishments away from him. My, what a nice (and unwarranted) compliment. All the best. I sympathize with the young man’s drive and willingness to pay any price to play a game he loves. And if he’s able to play more–a single knee injury needn’t lock him out of the pros, although his size may force him to a different position–he certainly ought to go for it. But maybe he caught a break with that broken knee. Have you ever seen Joe Namath try to walk? 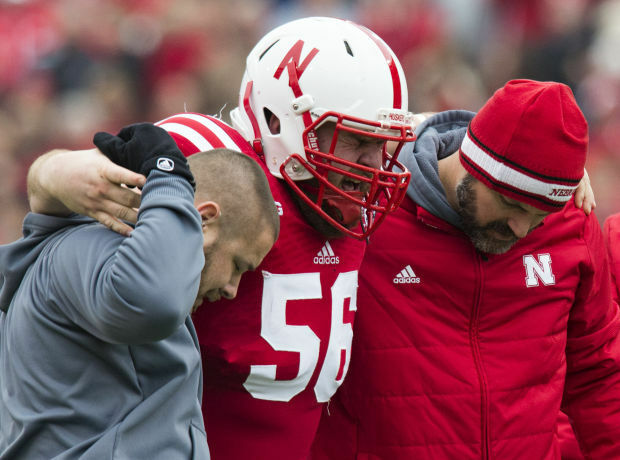 Judge: I was disappointed to see this morning that Nebraska sacked Bo Pellini. Although I am a Michigan State Spartan fan, I have a place in my heart for Nebraska. Two of their distinguished players made a marked improvement to the defense of my other favorite team, the Detroit Lions. I refer to Kyle Vandenbosch and Ndomokung Suh. But don’t worry, the Nebraska football program always comes back better and stronger. And if they get even half as good as your blog, they will be Division I champs for the next decade! I may post about it, but for now: Bo did two things that I think are truly uncommon: (1) he recruited boys with character and insisted that they grow to be men of character; and (2) he loved, in the true sense of that word, all of his players. I also know this, the kids that played for Bo will be materially better for the experience.